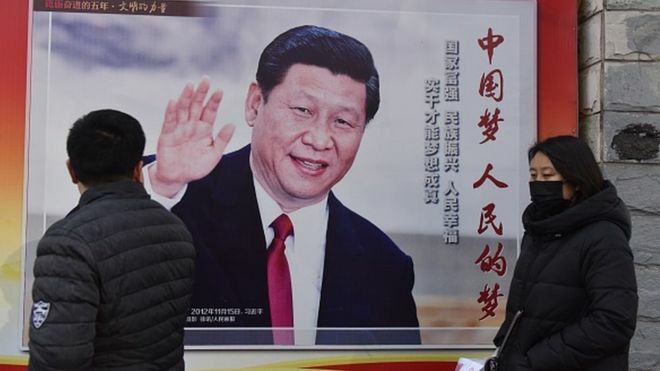 “China’s governing Communist Party has proposed removing a clause in the constitution which limits presidencies to two five-year terms – which means President Xi Jinping could remain as leader after the end of his second term in 2023. Several key terms have suddenly been subjected to heavy censorship on Sina Weibo, China’s Twitter-like microblog since Sunday. The tradition of limiting China’s presidencies to 10 years emerged in the 1990s, when veteran leader Deng Xiaoping sought to avoid a repeat of the chaos that had marked the Mao era and its immediate aftermath. Since Xi Jinping came to power in 2012 he has shown a readiness to write his own rules. But many observers have been alarmed at the prospect of Mr Xi becoming an “emperor for life”, and critics have suggested this could set China’s development back a century. 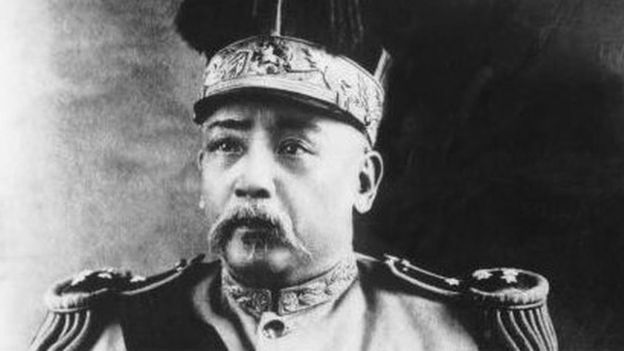 “Yesterday evening the dream of restoring Yuan Shikai came back to the motherland,” says ‘Zhang Chaoyang‘. 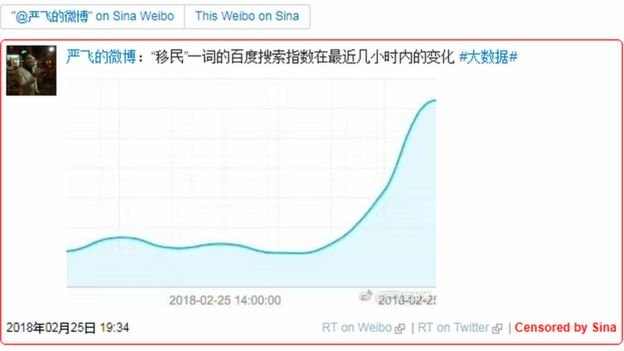 Even posts using the phrase “emigration” have been censored – after several users alleged that there had been a spike in web users searching for “emigration” on search engine Baidu since the announcement was made. And what do censors have against Winnie the Pooh? Well, it’s a nickname that social media users have coined for President Xi, which is often used derogatively. If you search for the phrase “Winnie the Pooh” on Sina Weibo, the site brings up a message saying: “According to relevant laws, regulations and policies… search results are not displayed”. The comments remaining on the popular Sina Weibo microblog are mostly monosyllabic statements from users simply say they “like” or “approve” the amendments. They are likely to be from China’s “50 Cent Party” – a nickname coined for internet commentators who are paid small amounts to post messages supporting the government’s position. Some posts have attracted thousands of comments – but only a few are available to view. This is traditionally indicative of online censorship by government administrators. The way the proposed changes were announced on Sunday also appeared to be carefully planned. Whereas English-language media such as broadcaster CGTN prominently reported the removal of the requirement that presidents and vice presidents “shall serve no more than two consecutive terms”, its Chinese-language equivalent did not highlight it. Instead, broadcaster CCTV instead issued the full list of amendments that were being made to the constitution, with the abolition of presidential terms listed 14th in 21 total proposed amendments. China’s state-run Global Times has argued that the change does not mean “that the Chinese president will have a lifelong tenure”.